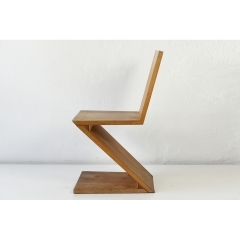 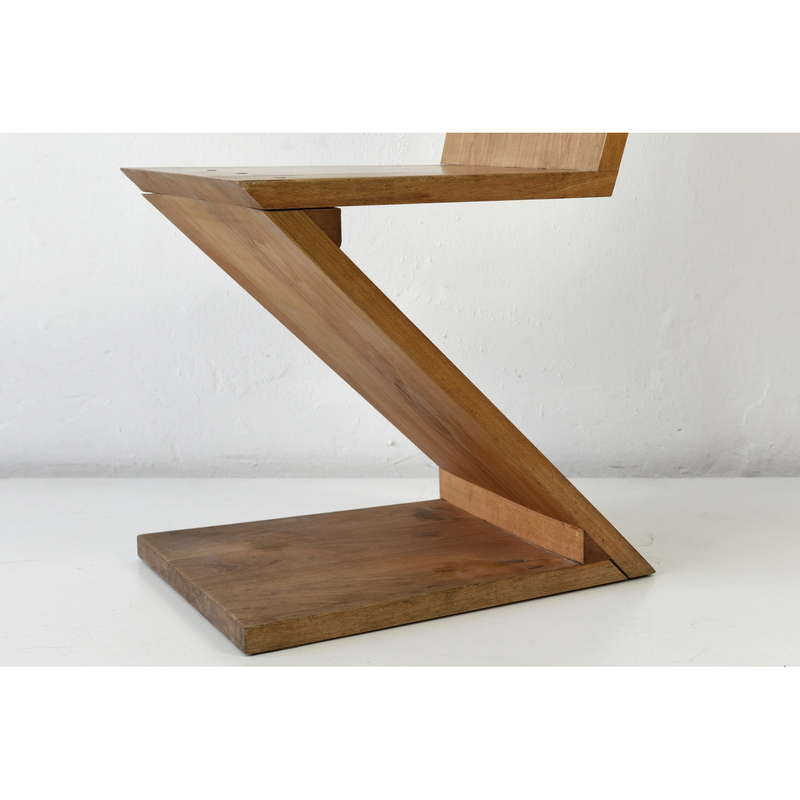 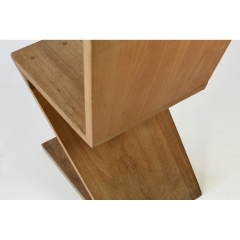 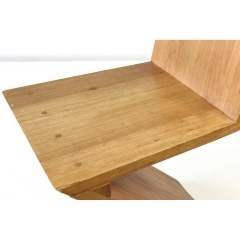 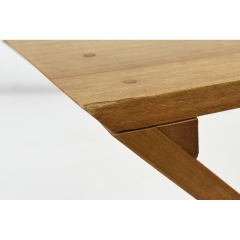 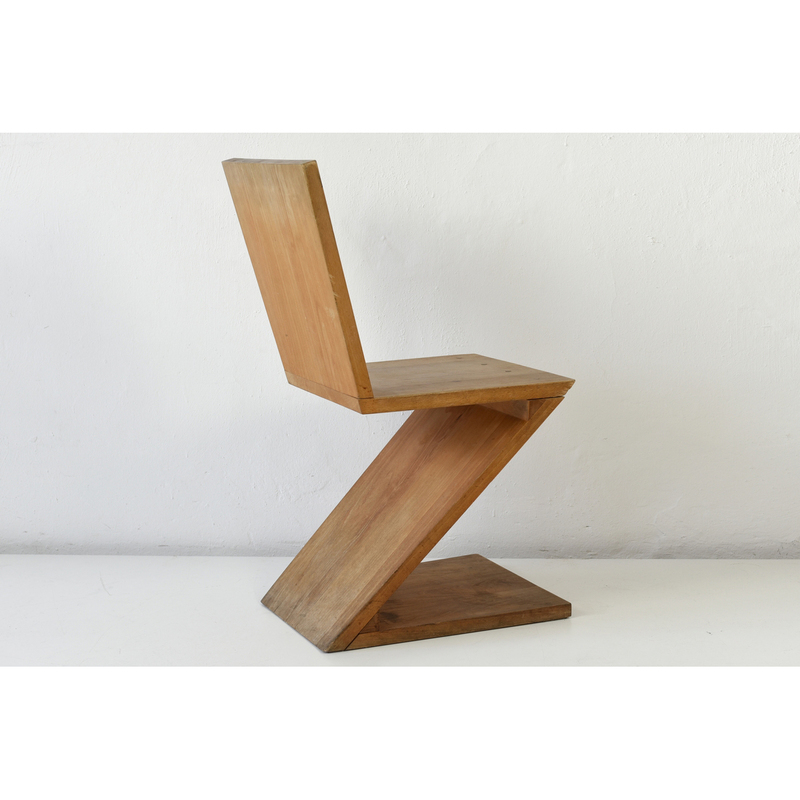 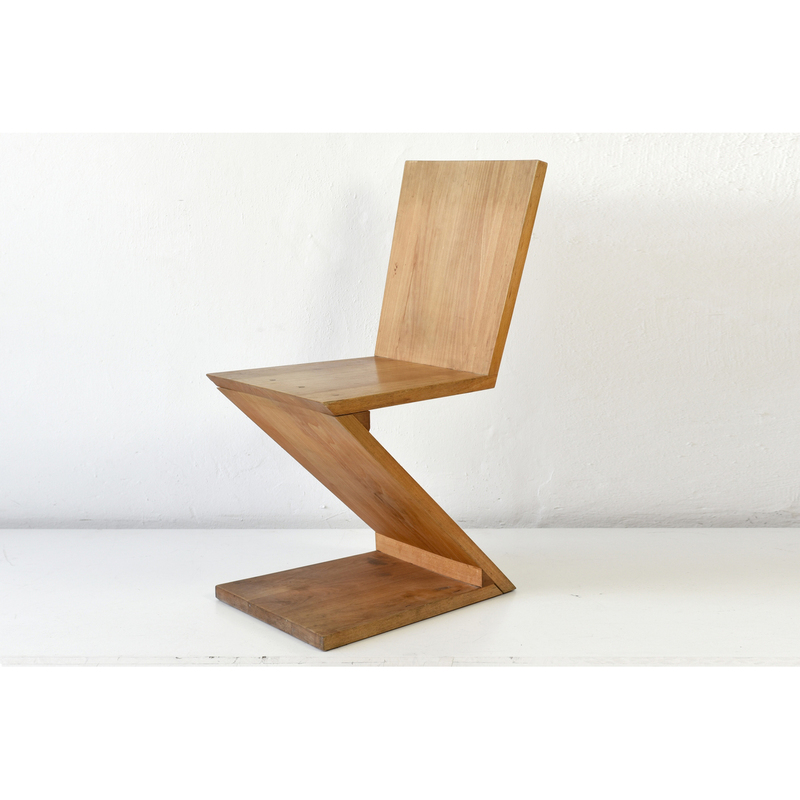 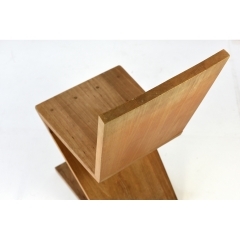 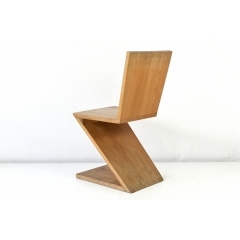 Here we offer a variant of the ZIG ZAG chair by Gerrit Rietveld, an icon of chair design. 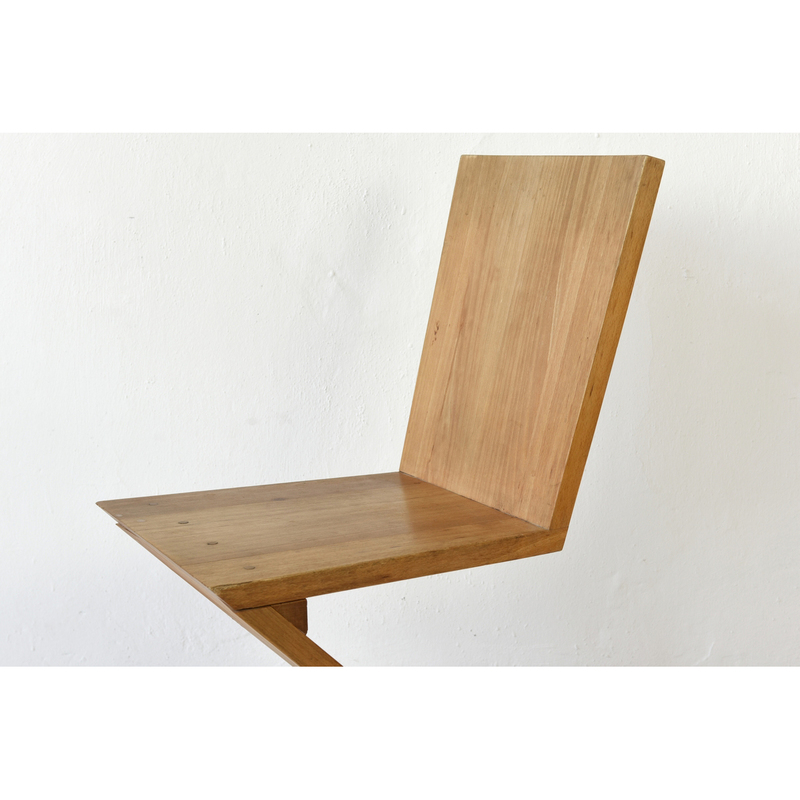 Our piece is executed in massive beech and wears a beautiful aged patina. 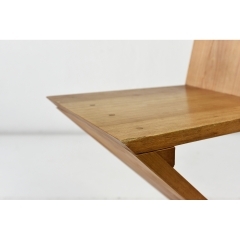 It is probably a special production in small series of South German architect, produced in the mid-1970s.